President Jonathan Veitch hosted a lunch for Chinese international students Nov. 28 in the Cushman Board Room. This past October, President Veitch traveled to China and met with the parents of a few of the students who attended the event. While students were eating food such as lo mein and egg rolls, Veitch and the attendees, which included staff members of the International Programs Office (IPO), engaged in a discussion about the things that surprised the Chinese international students about studying at a liberal arts college, what China and the U.S. can learn from each other and what is most curious about American life. Assistant Dean of Admissions Michelle Naito-Lo reads applications from Chinese international students. She explained that China is the largest steady market for undergraduates in the world. Naito-Lo said she has seen a rise in applications from international students over the last couple years and attributes it to the location of the school, since people see LA as a place that is welcoming to immigrants and people of different backgrounds. In order to recruit students from China, Naito-Lo said members of the admissions team have been traveling directly to China to meet the students and counselors. Within the last couple of years, they started an email campaign to reach students. However, these recruitment tactics are not limited to students in China. According to Naito-Lo, the term “international students” can have different meanings, such as a U.S. citizen growing up abroad, a non-U.S. citizen going to high school in the U.S., or the most traditional meaning, a non-U.S. citizen going to high school abroad. 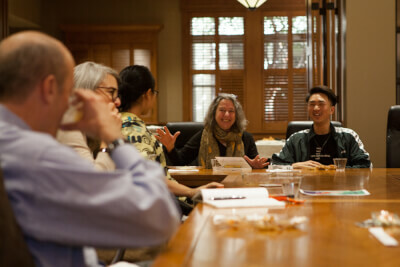 Naito-Lo said that after the students commit to Occidental, the admissions office hands the process over to the IPO, which hosts international student orientation. Marisa Grover Mofford, the associate director for international programs in the IPO, said Veitch’s office contacted the IPO after his trip to China in order to plan an event where he could get to know the Chinese international students. According to Grover Mofford, 64 percent of international students at Occidental are from China, making them the largest international group on campus. Grover Mofford said that it is the IPO’s job to synthesize all of the campus resources to support international students as they need it. The office specifically runs international students’ orientation that happens about a week before new student orientation. According to Grover Mofford, the orientation team is mostly run by international students, who offer a lot of ideas and feedback about what students really need to know about Occidental. “We know from research and the 50 years we have between us working with international students what international students need. We leave it to our team to deliver within academics what Chinese international students need to know,” Grover Mofford said. At the orientation, they discussed cultural differences such as greetings and engaging in conversation. 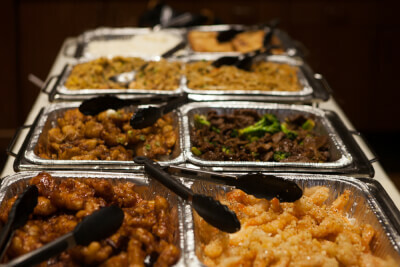 “Specifically, when they were saying in the luncheon that when [Chinese international students] greet others it’s all about food, and that’s a major difference. Not only communication patterns but how you socialize with others and your relationships to your peers and your professors,” Grover Mofford said. Every year after international student orientation, the IPO sends the students an evaluation. The office then asks those students again halfway through the semester what they wish they learned during orientation, according to Grover Mofford. She said the office maintains contact with all the students and meets with them once a semester. They are required to maintain contact because of the visa requirements, but it also allows the IPO to have an ongoing conversation with the Chinese international students about what might be needed to acclimate to the United States. Grover Mofford said students from international orientation last year, such as Yingfei Xin, a (sophomore) from Guangzhou, China who is currently a member of the Diversity and Equity Board (DEB) and Active Minds, sent the IPO a list of things they thought would be valuable. According to Grover Mofford, the IPO implemented some of them. Xin suggested adding a portion in orientation for a writing workshop, so professor Julie Prebel from the Writing and Rhetoric department came in and talked to the students this year. “We morph, add and react to what students are saying they need,” Grover Mofford said. Xin said that last year she felt the IPO was not supportive enough. She said when Prebel and the IPO hosted a writing workshop for international students in the past, not enough people showed up. Xin said this year, Prebel decided to make the workshops available for all students to increase attendance. According to Xin, even though the IPO was able to address issues pertaining to writing support, there are still many things the IPO has yet to improve upon, including the socializing aspect of the orientation. Another thing Xin thinks the IPO can do a better job addressing is the politics that students need to be aware of at Occidental or coming to the United States in general. According to Xin, last year she suggested more workshops related to American politics, so international students could better understand different political movements and structures in the United States. This was the first year the IPO addressed U.S. political issues in orientation. They brought in professor Liu from the sociology department, who is originally from Taiwan. He did a presentation on the politics and history of the United States. Xin said a lot of students found that really helpful because she read the evaluations from other international students. Even though international students took an interest in understanding U.S. culture, Xin said that cultural understanding is not always reciprocated by other students at Occidental. This story was revised Dec. 11, 2018 at 1:44 p.m. to amend the article’s original headline and to clarify that the Nov. 28 lunch for Chinese international students was hosted by President Jonathan Veitch, not the International Programs Office.